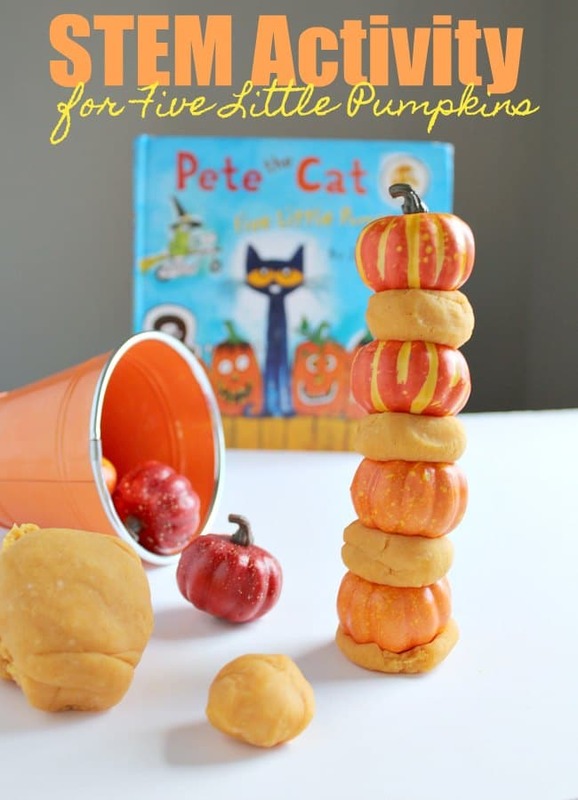 Create a fun STEM Challenge for Halloween with this Stacking Pumpkins STEM Activity for Kids inspired by Five Little Pumpkins! Collect some mini pumpkins and playdough and it’s time to play. Here’s how to set up this Fall STEM Activity. 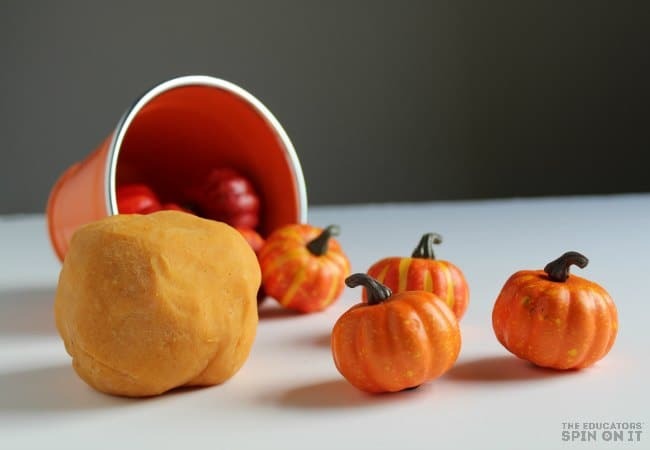 Pumpkin can be such fun to experiment with with your child. You can find them at your local grocery store, pumpkin patch and even pretend ones at your local dollar tree or the craft stores. 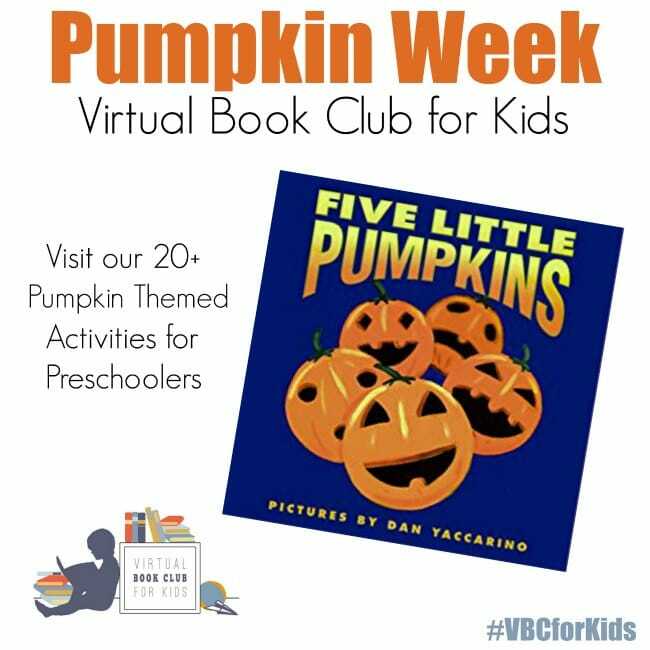 We were inspired by the story Five Little Pumpkins, our featured book for the Virtual Book Club for Kids. 2. Get out the pretend pumpkins and allow your child time to play with them and see what they do. Before starting any new game with young children it can be helpful to give them time just to play before you begin to give them specifics tasks that need to be completed. 3. After exploring the pumpkins discuss with your child how it would be fun to stack the pumpkins up on top just like in the storybook. Make a STEM Challenge! Ask you child how many they think they could stack on top of each other. 4. Create a tray area for them to explore the Pumpkins STEM challenge. Give them the container of playdough and tell them they can use it if it will help them get 10 apples up on top, just like the book. Better yet give them a container of numbers and challenge them to build up the matching amount to the number the pull out from the selection. And then wait… see what they come up with on their own as they stack the pumpkins. Share a photo with us how your child creates their Stacking Pumpkin STEM Activity in our VBC Facebook group! Join now! 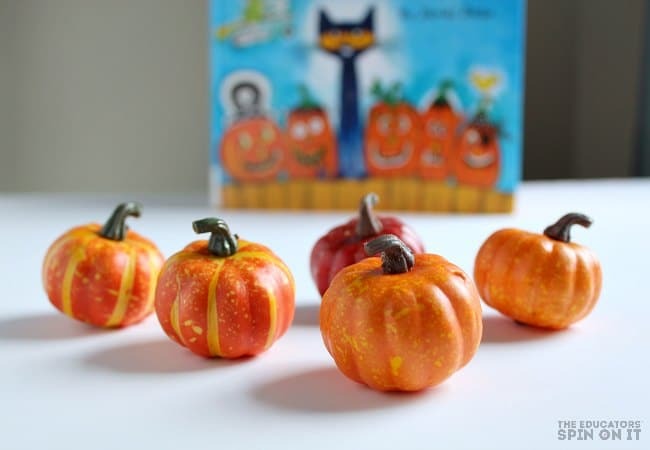 You can visit more Pumpkin Themed Activities at The Educators’ Spin On It or you can take a look below and be inspired by the 20+ Pumpkin Themed Activities from our Virtual Book Club for Kids CoHosts! or one of the other Pumpkin Books. 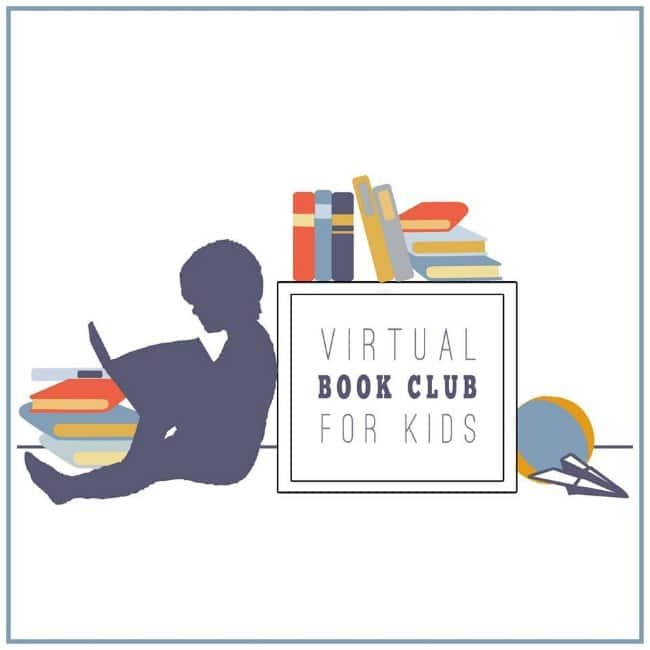 You can share on our facebook page or join our VBC Facebook Group and share there with 7500+ members! Join us next week with our a new theme of WITCHES & POTIONS! Did you miss last week about Monsters?